I summarised for you all the information from the Live Elite: Dangerous, February 16th. Multicrew, features and other bit of information on the upcoming 2.3 update! I have summarized for you all the information from the Elite: Dangerous Live, February 14th. Holo-Me, Sweet & Vanity cams, Dolphin and Mega-ship! 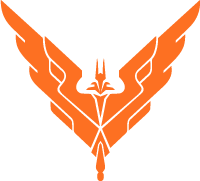 The Outpost, your weekly shot of Elite: Dangerous. Commanders, Ancient Sites, exciting Lore, and news! Discover EVERYTHING you need to know about the upcoming Update 2.3: Commanders.